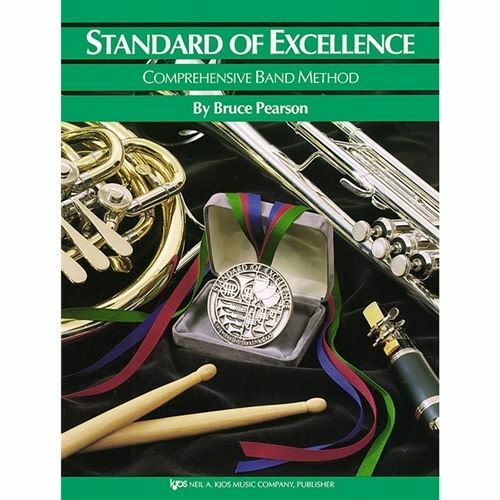 Standard of Excellence Book 3 is a continuation of the strong performance-centered curriculum of Books 1 and 2. Standard of Excellence Book 3 is a continuation of the strong performance-centered curriculum of Books 1 and 2. It is also an intermediate level band method that introduces students to Western Music History. Students play music from the Middle Ages, Renaissance, Baroque, Classical, Romantic periods and 20th Century; they learn performance and technical skills within the appropriate historical context. Students are given a complete musical and historical education while advancing toward high levels of musical performance on their individual instruments.